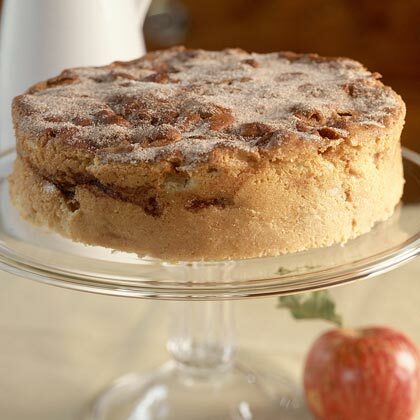 I have been making this recipe for Cinnamon Apple Cake from Cooking Light Magazine since 1997 and it is hands down THE BEST! With fall and the Jewish holidays right around the corner, it's the perfect time to share it. This cake is a guaranteed crowd pleaser and you would never know it is a low-fat version. It's also perfect to serve for breakfast or a brunch. Baking Tip: I always use Turbinado sugar from Sugar In The Raw instead of white refined sugar because it adds amazing carmelized flavor that melds well with the apples. It also gives the top of the cake great texture because you finish the cake by sprinkling it with sugar & cinnamon. Turbinado sugar is a healthier alternative to white, refined sugar and can be purchased in most grocery stores. It's also available on Amazon.com in bulk for a better price. Click here for the recipe. Have a sweet day!